149 Luxury apartments with access to excellent resident amenities including lagoon and beach. 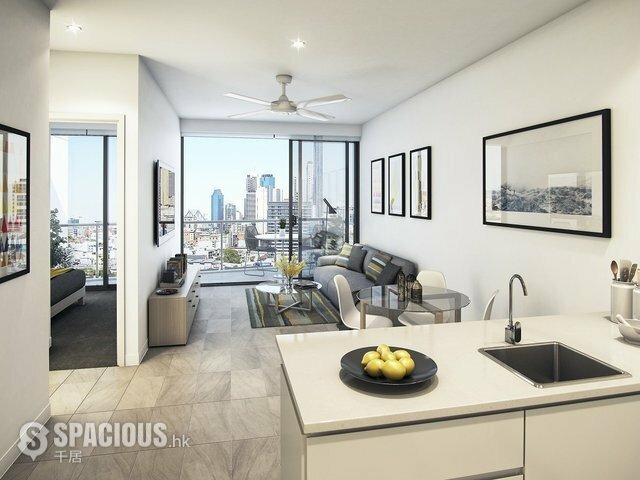 Tranquil living meets inner city sophistication at Newstead Central, where you can experience an entirely new inner-city lifestyle within a tropical oasis. Designed with pure luxury in mind, its proposed pools, man-made beaches with white glistening sand and water features are guaranteed to impress even the most enthusiastic city dweller. Aqua is the first stage of the Newstead Central development, comprising 149 luxury one and two bedroom apartments across 16 levels. Nestled in the heart of Newstead, each day will feel like a holiday with a host of dining, shopping and entertainment opportunities literally at your feet. Why not work out in the gym, or wake up with a refreshing swim or stretch your muscles with a daily yoga session. At the end of the day, finish with a sunset cocktail on the rooftop deck – life never felt so relaxed!